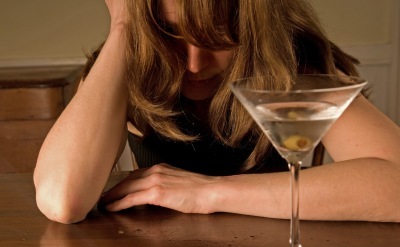 Antabuse is the oldest medication approved by the FDA for the treatment of alcoholism. Unlike new medications for alcoholism that either block the effects of alcohol or block the craving to take a drink, Antabuse works by making alcoholics extremely sick, every time someone taking it takes a drink. The drug disulfiram (Antabuse) can be taken orally. Unfortunately, the compliance is the major issue with this approach. An alternative method of medicine delivery takes the form of the subcutaneous or intramuscular implantation of sterile pellets of disulfiram. This type of alcohol treatment is commonly referred to as coding patients. The procedure was introduced over 20 years ago in the country of France and is extensively practiced in Eastern Europe and former Soviet Union countries at the present time. The implanted drug enters into blood stream, while it slowly dissolves, thus maintaining appropriate drug concentration in blood during 10-13 months. Studies show that between 93 and 95 percent patients who underwent Antabuse implant have shown good results. Our low cost, one week long alcohol addiction treatment packages offer greater than 70% cost savings over conventional inpatient alcohol addiction 28-day programs offered in the U.S. In addition, even counting two days dedicated to traveling, our Antabuse Implant Program allows you to complete your alcohol treatments within one week.